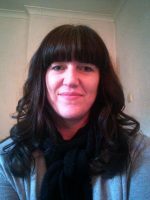 Nicky is a qualified nurse of over 20 years, Reiki practitioner and Reflexologist. She provides a mobile service to the people of Moray in the North East of Scotland where she helps people to relieve physical, emotional and spiritual pain using Reiki and Reflexology, often in combination during the same session. She also provides a distance Reiki service worldwide. I offer Reiki sessions for relaxation either at your home or at premises I have the use of.